Australian David Graham’s continued omission from the annual World Golf Hall of Fame ballot has been well documented in Australian golf publications over the past few years. 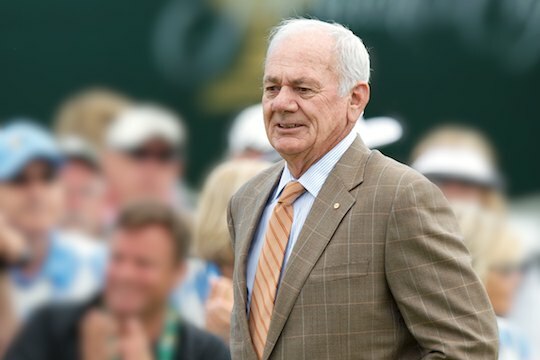 The winner of 38 tournaments on five continents around the world, including two Majors, has been routinely passed over for inductees with seemingly inferior records to his own. His exclusion is a mystery to most, not the least to the man himself, who has campaigned for changes in the induction process. I last spoke with Graham on the issue in 2011 and he was as passionate about flaws in the process and the inability of other players to make the Hall as he was about his own situation. Graham, 66, questioned Sandy Lyle’s exclusion at the time, although the Scot was subsequently inducted in 2012. Despite winning the same number of Majors as Lyle and more events around the world and against the deepest fields on the PGA Tour, Graham will again look on this year as Fred Couples, Ken Venturi, Colin Montgomerie, Willie Park Jnr and Ken Schofield are inducted to the Hall in a ceremony on May 6 in Florida. While not naming names, Hall of Famer Raymond Floyd has recently made his views clear on some of the recent WGHOF inductee decisions in an interview for Golf Magazine in the United States. Floyd’s comments have hit a nerve on chat sites and with bloggers around the world who have had their attention drawn to Graham’s plight as a result. With Graham expected to feature in public ceremonies with past champions to mark the U.S. Open’s return to Merion Golf Club in June, the site of Graham majestic 3 stroke victory when the championship was last played at the Philadelphia layout in 1981, public scrutiny, commentary and pressure on the Hall to right this embarrassing blight on their credibility will undoubtedly continue in the coming months. “All I have is my record, and it’d be nice if someone could explain to me how it’s not good enough.” Graham concluded.